Kids activity tables are excellent for early childhood development. The primary colors make learning and play time exciting when several colors are arranged in the classroom. 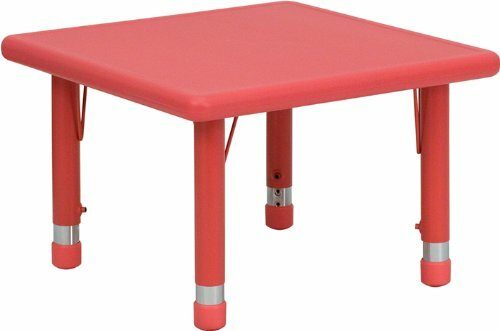 This durable table features a plastic top with steel welding underneath along with adjustable steel legs that is sure to last throughout the years. [YU-YCX-002-2-SQR-TBL-RED-GG].